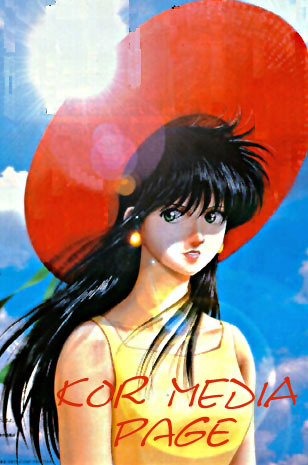 Welcome to my Kimagure Orange Road media site. This page is dedicated towards celebrating the various available and upcoming KOR media available, including CD-ROMs, music CD's, and the new KOR movie. But first, let me thank Eric Law and Itono Taisuke, my "correspondents" back in the Far East for their help in creating this page. They have graciously volunteered images, information, and translations for me. Additional thanks to Eric for "recovering" the lost images of KOR. Other people to acknowledge is Charles Kwong and the Madoka Fan Club Additionally, Itono-san has graciously volunteered to answer any KOR movie question you might have. Drop him a mail at taisuke@itono.com. The last important thing is to support the creators. Check out my For Sale Section in my SuperKOR page for some sources I've found where you can buy your very own KOR "gem" to treasure for yourself! If you're interested in the Shin KOR novels, then please see my dedicated Shin KOR II novel page. Debuting in Japan on November 2, 1996 in four theaters: (Shinjyuku, Yokohama, Sapporo, Hakata) A select showing will be on Oct 7, 1996. Occurs in 1994 and follows the Manga timeline(I believe) Here, Madoka, Kasuga is 22 years old, and Hikaru is 20 years old. Preliminary movie soundtrack CD released as a preview and promotion of the upcoming movie. The 2nd CD will be a single of the opening theme to the new KOR movie. The 3rd CD will be the "original sound track" of the movie. 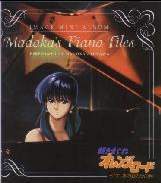 The 4th CD is piano pieces performed by Madoka herself. Thanks to Eric and Itono for translating most of the track titles for me. 14. Insert theme "Don't be afraid"
21. Main theme "Day Dream ~ always at your side"
Teaser: A ghost spirit lurks in the background. Does Madoka know this ghost? And if so, can an ESPer be a rival of the ghost in love? This book is written by Keishi Terada who wrote the earlier Shin KOR Novels 1-3. I will update when I get more details on it. Contents: 1 CD and 1 double-faced CLV LD of the new KOR movie. "Comic On" is original manga material based exclusively on the CD-ROM format. It's chief contributor is of course Izumi Matsumoto, the creator of KOR. What's very exciting about this effort is that Matsumoto-san is releasing new KOR stories for each new volume. In addition, there are other manga graphical stories to peruse through. For more info on pricing and availablity, please click the picture above to enter the Comic On Genesis homepage for more details. Will include T. Furuya's interview with Matsumoto Izumi! Will include interview with Hiromi Tsuru (voice of Madoka)! "Sesame Street" (comic by M.Izumi) Vol.2 was republished on March 23 , and vol.3 will be issued on April 19. "EE" was a new manga being worked on by Izumi Matsumoto in the same spirit as Silent Mobieus. It is more science fiction oriented taking place in the far off future. It is currently being published in Ultra Jump. Unfortunately, it was canceled by the publisher only after 4 issues. These are the set of pictures of Madoka and other KOR characters drawn by Akemi Takda, of which many were contained in the illegal KOR Triangle Book. Contains color illustrations by Matsumoto on KOR, Sesame Street, EE and other various short stories he has drawn. Full color print reproduction of Matsumoto's digital manga featured in his Comic On CDROMs, including the KOR bathhouse story. This is the region 1 DVD version of the Shin KOR Movie! As far as I know it has a dubbed English and subtitled versions on it. intersect each other in a valley of time-space. and you are getting distant from me again.